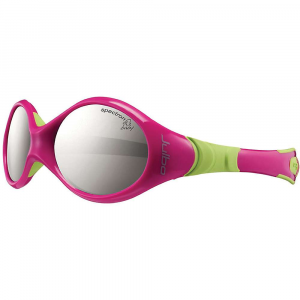 Tifosi Optics designed its Mast Sunglasses to fit your face comfortably and look good while you explore some sunny streets. While the Smoke Fototec lenses on the Gunmetal frame work excellently in extremely bright conditions, the Gray Stripe frame's Smoke Fototec lenses give you optical clarity in low-light conditions like the sunrise and sunset. But both these Fototec lenses are photochromic, which means they work well in a vast range of brightnesses by changing the transmission of visible light through the lenses. And they have vents at the sides for additional comfort that you appreciate when you ride a bike across the beach's sidewalk. 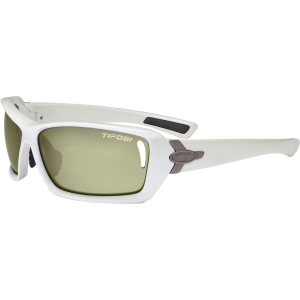 Tifosi constructed the Mast's frame out of a durable Grilamid TR-90 nylon that withstands abrasions to keep this pair looking brand new for a long time. Both the hydrophilic temple and nose pads stick to your face even when you work up a sweat, and the nose pads are adjustable to give you an ideal fit while you stroll under a sunny sky. Proposition 65 Warning for California Consumers: This product contains chemicals known to the State of California to cause cancer and/or birth defects or other reproductive harm. 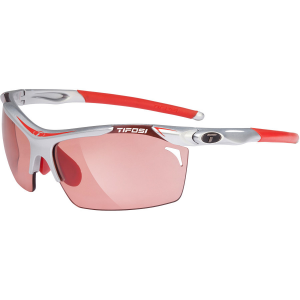 The Tifosi Mast Polarized sunglasses feature Fototec(TM) Photochromic lenses that change according to the light, so you can move easily from sun to shade and back again. Free Shipping. 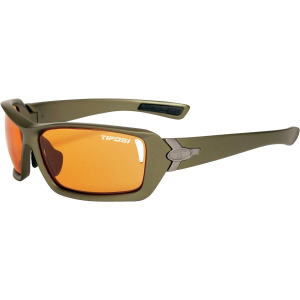 Tifosi Mast Polarized Sunglasses FEATURES of the Tifosi Mast Polarized Sunglasses Polarization: Polarized lenses Comes with GT and EC lenses: designed specifically to help spot a ball in flight and to read surface contours and terrain breaks Made of Grilamid TR-90: a homopolyamide nylon characterized by an extremely high alternative bending strength, low density, and high resistance to chemical and UV damage Hydrophilic rubber ear and nose pieces for a no-slip fit SPECIFICATIONS of the Tifosi Mast Polarized Sunglasses Weight: 37g This product can only be shipped within the United States. Please don't hate us. 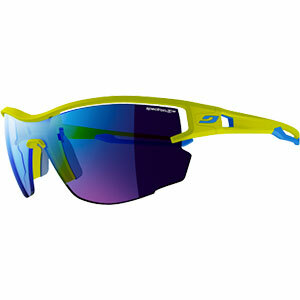 The Tifosi Mast Photochromic is not available from the stores we monitor. It was last seen December 18, 2018	at Backcountry.com.